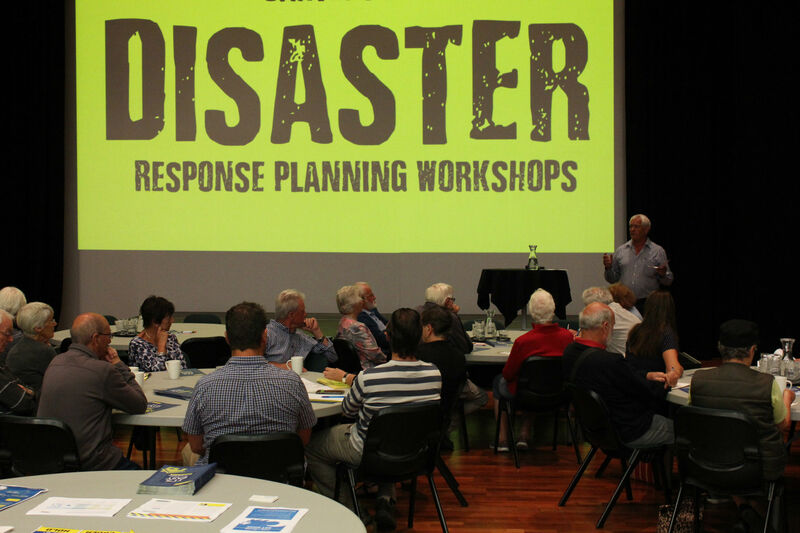 Last Sunday Carterton residents gathered together to start their community emergency preparedness plan. With emergency preparedness at the forefront of the country’s attention the Carterton District Council has been working alongside, Resilient Carterton, Project Wairarapa, Neighbourhood Support and Wellington Regional Emergency Management Office (WREMO) to produce a Community Emergency Hub Guide. Learning from the Canterbury earthquakes has enabled communities to identify what plans could be put in place if a significant event occurred in their district. Carterton Events Centre is Carterton’s nominated Community Emergency Hub (previously Civil Defence Centre), and would be activated as an information and coordination centre, rather than a place to eat and sleep, in the case of a significant event. A large focus of the plan is to encourage the community to support each other and create networks within their neighbourhoods. The Community Emergency Hub Guide, a template designed by WREMO, helps communities to identify resources and provides the volunteer structure needed to help coordinate the hub in the event of an emergency. Cartertons’ proactive approach to emergency preparedness will see more workshops available to the community, including a live activation of an emergency, scheduled for 2pm on Sunday 26th March. This exercise would see volunteers and council staff activate the Community Emergency Hub, and role play various situations which may arise.